We dealt with Vince as our primary contact at C Valley Paving. On June 10 of 2013 we agreed on a decent price for Vince to remove our old driveway and front steps and replace them with a new asphalt driveway and concrete steps. The following week the excavation of the driveway and steps was done, and we were told they would come in mid July to finish the job. In reality the work was completed approximately September 23 after several phone calls to the company inquiring as to timing for completion. The quality appeared decent - asphalt looked fine and the concrete had a few faint surface hairline cracks (I cured it properly). 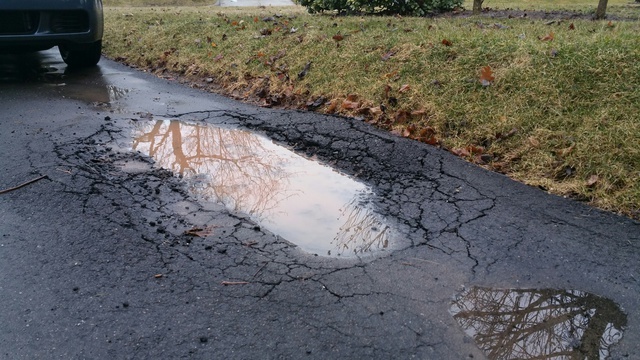 As soon as the snow melted in spring of 2014 it was apparent all was not fine with the driveway. Where we park one of our cars (either a Civic or Santa Fe) a major depression was developing under the front left tire area and smaller one where the front right would sit. 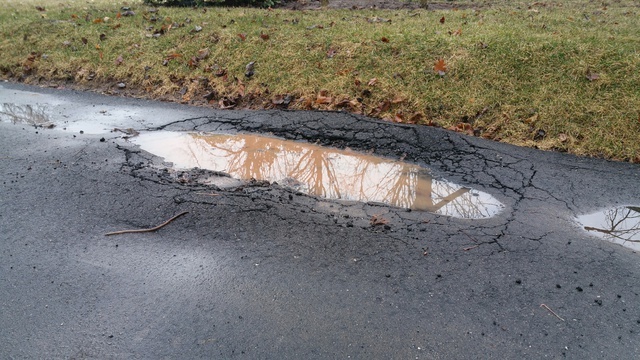 When the weather warmed up the left side quickly turned into a 2 foot by 3 foot 6 inch deep hole of heaving pavement. It continued to crumble and get worse and worse. Through the summer we made weekly phone calls to the C Valley head office. Many messages were left for Vince requesting he come and look at the problems. By the fall we were calling daily. Vince finally returned my call and claimed he had stopped by and looked at it and that he didnt see anything wrong with it... he somehow missed the huge crater I guess? I told him I believed they had done a poor job and he should stand behind his product. Vince eventually swore at me and hung up on me. He called me back one minute later and said he was not afraid to deal with me face to face and was coming over. Finally. When Vince shows up he agrees the driveway is a mess, and that it shouldn't have happened. However it must be our fault as we must have been parking an industrial truck there - with the exact foot print of our Santa Fe? Nothing large was ever parked there. Our neighbour told me the day they put the driveway in they removed a massive amount of base gravel first, but Vince does not think that could have lead to the sink hole. He tells me to pay someone to do core testing on the driveway and prove to him that there isn't enough gravel. He also tells me all the negative reviews online are put there by competitors (I guess my wife and I are now competitors in the paving business). He took pictures of the hole in order to send them to the head office, who would decide if they should fix it. He claimed the so called warranty didn't cover... anything really. He left and we never heard from him or anyone else at C Valley again. 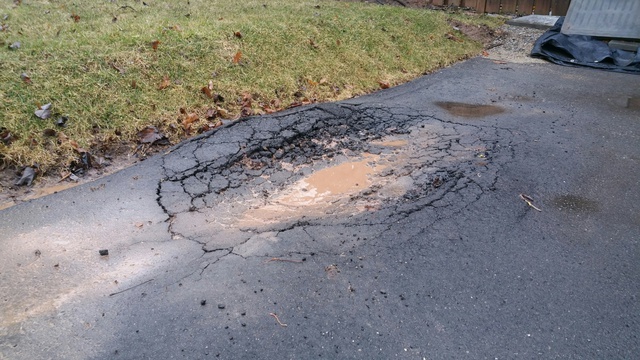 We now are left to pay to fix/replace an 18 month old driveway. Bottom Line - C Valley Paving installed a poor quality product and refused to stand behind their work. Poor communication, unprofessional and the "warranty" is non existent. If you have a problem you will be completely disregarded, and Vince specifically is awful to deal with. They may have been a respectable company in the past, but if so things certainly have changed. Spend your hard earned money elsewhere.